The costume designing and preparation for the trapeze group was a real success. 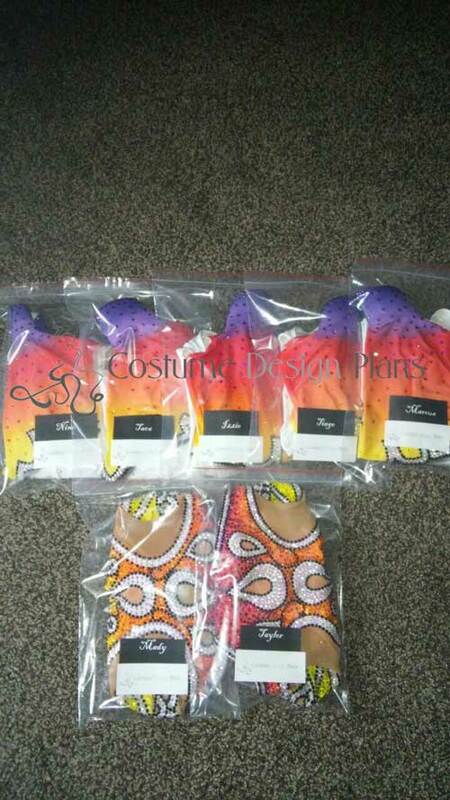 We prepared 9 costumes with 14000 Swarovski rhinestones. During the designing we asked the group what could be annoying at the act. For the boys anything could have been annoying during the show on their legs. For the girls we could design for the whole body. The final suggestion was a gradation coloured dress: for the full body of the girls, and for the upper part for the boys. It was important to find strong lycra for the trousers and paintable lyra for the collar part. The dresses were made of white lycra, and airbrush painted with 3D shadows – which was a big challenge for our painter. 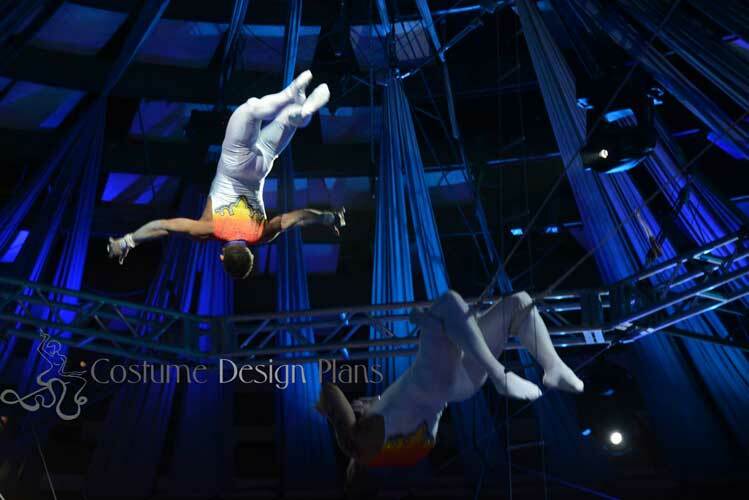 The costumes were very successful and got good feedback on 2016 International Circus Festival in Budapest, where the Flying Farfans got the silver trophy in their CDP costumes.